Your motorhome is an investment, and it’s one that you want to take care of so that it lasts for years. Like any vehicle, your motorhome requires regular maintenance and care. Safety issues, such as a fire or tire blowout, can be especially problematic. These issues don’t just result in an expense; they also put your safety at risk when you’re on the road. 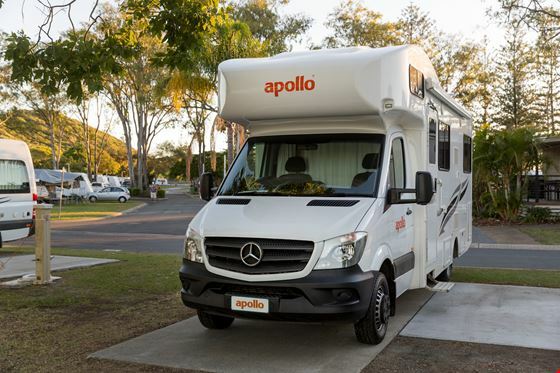 Before you search caravan sales for the perfect RV for your lifestyle, understand how to avoid these five motorhome safety problems in order to protect your investment and maximise your safety. A fire in your motorhome can be devastating to your vehicle’s condition -- not to mention dangerous. Motorhome fires can have many causes, but they most commonly occur in the engine compartments and wheels and axles. With a motorhome full of gas, a fire can be an immediately dangerous situation. Fortunately, preventative measures can help you prepare for a potential fire in your motorhome, which can minimise the damage. Before searching for caravan sales, consider these tips. * Equip your motorhome with fire extinguishers. Different types of extinguishes can work well in motorhome fires. A dry chemical extinguisher works well in kitchen and electrical fires. A carbon dioxide extinguisher is another smart choice for your RV. * Look into an automatic extinguisher. Some motorhomes can be equipped with automatic fire extinguishers placed in the storage compartment of your vehicle. This piece of equipment adds another layer of safety in the event of a fire. * Check the engine compartment routinely. Since many motorhome fires start in the engine compartment, check this equipment regularly to catch any leaking fuel or fluid, which can be problematic. When your tires lack the right amount of air, they are more prone to a problem. Tire failures are another common issue with motorhomes, most typically caused by underinflated tires. Fortunately, proper tire maintenance can minimise your risk of this problem. Check your motorhome’s owner’s manual to find the recommended tire pressure for your vehicle. Ensure that the tires always meet this requirement. For an added layer of safety, you should know the weight that each tire is carrying. Then, compare that weight to your tire manufacturer’s tire chart, which will dictate the necessary inflation pressure depending on the weight. Keep a tire pressure gauge on hand to check the tire pressure on any heavy driving day to avoid your risk of a tire problem when you’re on the road. Driving a motorhome isn’t just like driving a car. You’re operating a larger vehicle that may be more susceptible to factors like car speed and wind. As a result, your motorhome must be well balanced to avoid unwanted swaying when you’re on the road. A motorhome that does not have an equal distribution of weight can be more likely to sway and shift, which can cause driving challenges and, worse yet, accidents. To avoid these issues, ensure a proper spacing of weight and cargo before you hit the road. Consider all weights in the vehicle, including the RV built-in features, like appliances, as well as stored cargo and even passengers. Balancing these weights beforehand can avoid any unwelcome and often dangerous swaying when you’re on a road trip. Should you be involved in an accident in your RV, you may expect that you will be well protected because you’re in such a large vehicle. Unfortunately, the vehicle’s size can be deceiving. Instead, motorhomes can actually be more likely to be damaged in an accident. They can collapse quickly in a head-on collision, and they are more likely to roll over because of their height. As a result, you need to have a clearly defined escape plan in the event of an accident. Delineating your plan before you embark on a motorhome adventure can reduce your risk of injury in an accident. Your best plan is to learn how to use your motorhome’s emergency exits before an emergency occurs so that you can quickly evacuate the vehicle when involved in an accident. Carbon monoxide poisoning can be deadly. As a result, you must be proactive in protecting your family when you’re travelling in a motorhome. Like cars, motorhomes generate carbon monoxide gas. Unlike cars, motorhomes have more vents and openings where carbon monoxide gas can seep in, which can put your family at risk. A simple way to protect your family when travelling in your motorhome is by installing carbon monoxide detectors in your RV. These detectors will alert you to the presence of carbon monoxide gas, which will allow your family to escape before you are impacted. Seeing the world through a motorhome can be an exciting lifestyle. 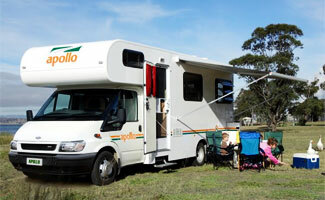 However, your motorhome, like any investment, requires regular maintenance and upkeep. This maintenance doesn’t just improve performance; it also helps to minimise your risk of any safety issues common to this type of vehicle. So, consider these safety precautions before searching for caravan sales and embracing the RV lifestyle.